If you are a patient with one or more LTC, we offer you a comprehensive Year of Care approach to help you manage your condition(s). Once a year, around your birthday month you will be invited into the practice for a screening appointment. This appointment will be with one of our Health Care Assistants and will be tailored your needs. The results from this appointment will then be reviewed by a senior clinician. You will also be sent s summary of the results in the post, and if required invited in for a second appointment with one the specialist LTC Nurses or Doctors. During this appointment you will have the opportunity to discuss your health priorities. Most people will only require this once a year check up, however some will require more frequent review and we will coordinate this for you. The LTC clinics are held on Tuesday afternoons and Thursday mornings. If you have any queries about these clinics, please contact the practice and ask to speak to the performance team. 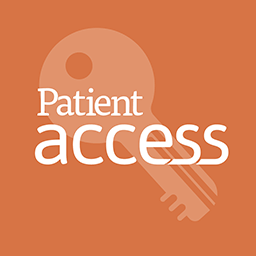 As a patient with a LTC, you might want to register to have online access to your medical record, so that you can start to be more involved in your care - many patients find this really helpful. If you are looking for professional help and advice to help you stop smoking, our Health Care Assistants are trained to advise you about the options and help you to achieve your goal. They have a high success rate with patients - just ask at reception for an appointment. If your child is due an immunisation you will be sent an appointment form the Child health department. The clinic is run on Tuesday mornings by our nursing team. We offer a comprehensive range of travel vaccinations. Please book a telephone consultation with one of Practice Nurses who will advise which immunisations you will require and arrange a follow-up appointment. There is usually a charge for travel vaccines and malaria medication. We recommend that you make your initial appointment at least 8 weeks before your travel date. Please make an appointment with a GP / Nurse if you wish to be referred minor surgery. We offer all types of contraception, including the fitting and removal of Coils / intrauterine devices. You can have an initial discussion with any of our GPs or Nurses - they will be able to advise you on the appropriate options, and if required refer you to one of our in-house specialists. This is held on Friday afternoons for patients who are prescribed Warfarin and need regular monitoring. This clinic is hosted in the practice, but is organised by the Pharmacist from the Queen Elizabeth Hospital. The Community Midwife usually visits the practice two afternoons each week and she provides most of the Ante-Natal care for our patients. If you have a positive home pregnancy test you can self refer to the midwife - please ask at reception for a form. The EVOLVE Team have regular sessions at the practice and work closely with our clinical team and the patients they support. If you would like to access this service, please speak to one of our doctors. If you are over 45 you can access a free NHS Health Check. This is a screening and advice appointment with one of our Health Care Assistants. Ask at reception for an appointment.